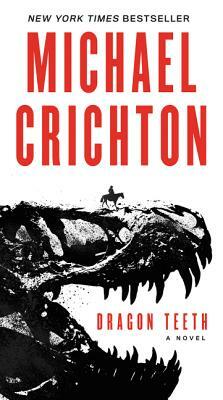 The legendary #1 New York Times bestselling author of Jurassic Park returns to the world of paleontology in this recently discovered novel. . . . The year is 1876. Warring Indian tribes still populate America’s western territories, even as lawless gold-rush towns begin to mark the landscape, and two monomaniacal paleontologists pillage the Wild West, hunting for dinosaur fossils while surveilling, deceiving, and sabotaging each other. Into this treacherous territory plunges William Johnson, a student who has joined world-renowned paleontologist Othniel Charles Marsh on his latest expedition. But when Marsh becomes convinced that William is spying for his nemesis, Edwin Drinker Cope, he abandons him in Cheyenne, Wyoming, a locus of crime and vice.